In winter, we tend to up the level of coverage we wear, but when our skin is feeling the effects of harsh winds, bitter frosts and regular rain, foundations can sometimes look too heavy and emphasize any flakiness we may be struggling with. What do we need to prevent looking like a shriveled, old prune? A hydrating primer can help. But, with so many to choose from, which do I rate and which do I slate? Do we need to spend top dollar to get the best finish? 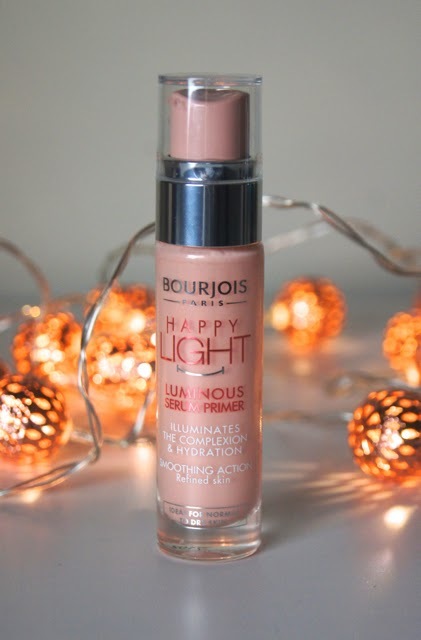 The cheapest in my lineup, is the Bourjois Happy Light Luminous Serum Primer (£10.99). 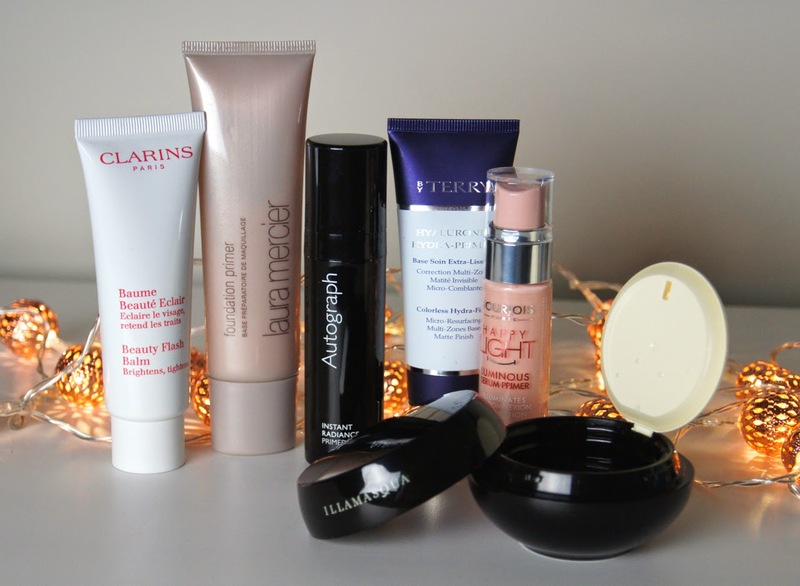 I tend to be wary of Bourjois' base products, as I haven't always got along with some of their highly-fragranced foundations. But, saying that, I was pleasantly surprised with this primer. The thick, smooth consistency and feels hydrating, without being too heavy. Absorbing straight away, there's no greasy residue left behind, just a soft, supple feel. The result isn't too dewy or shiny, making it a great option for those with oilier skins.There's no obvious glitter or shimmer within the formula that I can detect, but it gives the skin a flattering sheen that doesn't look artificial. With a salmon-pink tone helping to counteract any urban grey in the skin, it brightens the face and gives an immediately improved look. Whilst it gives my foundation even more of a flawless finish, I didn't notice that it made my base last any longer than usual. Initially, it has a very fresh smell, but that soon dissipates once it hits the skin. The pump bottle is hygienic and prevents waste, as a single squirt is all you need for a full, face application. I'm definitely impressed with this primer, for the price and I'd highly recommend it as a budget option. With a whipped, mousse-like texture, the By Terry Hyaluronic Hydra Primer (£42) has an unusual consistency for a hydrating base. This formula seems to tick all the boxes and offers everything you could want in a primer. Full of resurfacing polymers, not only does it keep the skin plump, but pores seem to disappear, lines are diminished and any blemishes are smoothed over. Containing hyaluronic acid, there's a skincare element to it, which should, in theory, actively improve the skin with prolonged use. As I'd never rely solely on a primer to give my skin moisture, it's hard to tell how much of a difference it would make long-term. But, an extra dose of such a powerful ingredient that's known to work, certainly won't do any harm. Having a weightless, matte finish to it, this feels a lot drier than other formulas, leaving behind no juiciness on the skin whatsoever. Yes, skin is significantly smoother, but if you picked this up without reading all the beauty bumf on the back of the box, then you could be left disappointed. It's definitely one to hydrate from the inside out, rather than the other way round, but that makes it a great option for those with oily, dehydrated skin-types. It does help my makeup cling on for significantly longer, though. Out of all the primers I have in my collection, this is the one I turn to when I have a long day and won't have time to touch up. With many others on the market, I either don't notice an improvement in the longevity of my makeup, or the difference is so minimal that they aren't worth taking the extra time to apply. 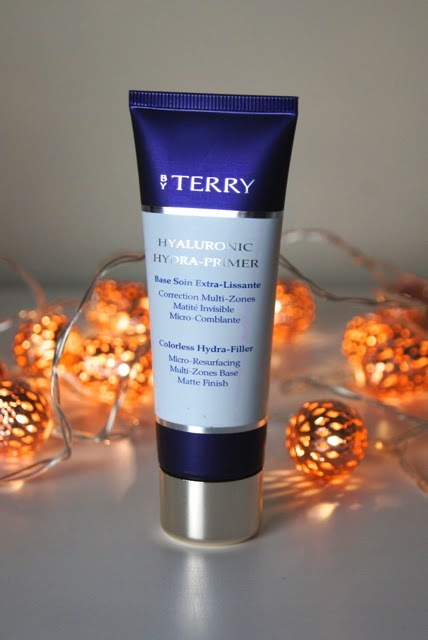 But, with this one from By Terry, I can guarantee my base will stay looking flawless as long as I need it to, without needing to constantly check in a mirror. Although, I do have to use a dewy, moisturising foundation over the top of it, to prevent my dry skin from feeling a bit tight as the day wears on. As you could only expect from such a premium brand, this is an expensive option. But, it has that added skincare aspect to it, does the job it's meant to and the matte finish is unique for a hydrating formula. 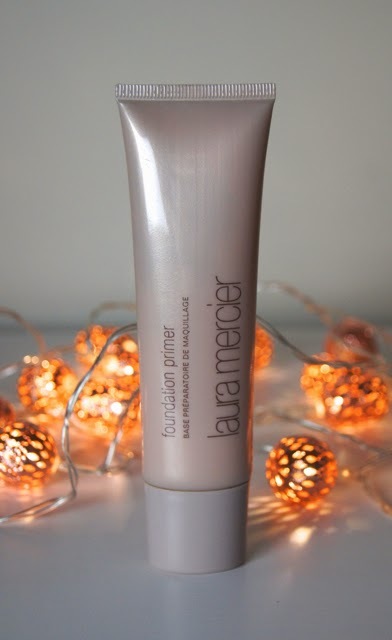 I couldn't do a primer post without including the Laura Mercier Foundation Primer (£29) now, could I? A cult-classic, I don't think I've ever heard a bad word whispered about it from any beauty buff. Now I know LM has a hydrating formula in her range, but I personally find the original to deliver enough of a moisture surge. This primer has been a constant in my collection since I first started getting into makeup and I've loved it when my skin was slightly oilier and still now, when it's as dry as non-buttered toast. Full of Vitamins A, C and E, this is a super-charged primer that creates a protective barrier from the outside elements and locks moisture in. With a creamy, gel texture, it's fresh and cooling on contact with the skin. Delivering an extra hit of hydration, this primer has a rich feel to it. Whilst the majority sinks in straight away, a light layer remains sitting on the surface, giving a healthy glow to the complexion, which I love. This primer enables me to wear fuller-coverage foundations with a matte or semi-matte finish, without any worry of looking like I've aged forty years over the course of the day. My base not only lasts all day, but it also stays looking natural and skin-like, which is no mean feat. Non-comodegenic, the formula shouldn't block pores, if you're concerned about breakouts, but there is a faint, floral fragrance to the formula. But, even now, when my skin is sensitive and vulnerable thanks to the harsh weather, it's caused me no irritation. Even though Laura Mercier is a high-end brand, you get a lot of primer for your money. As you need just a pea-sized blob per application, a tube will last for aeons, making it a treat, but a good value one. 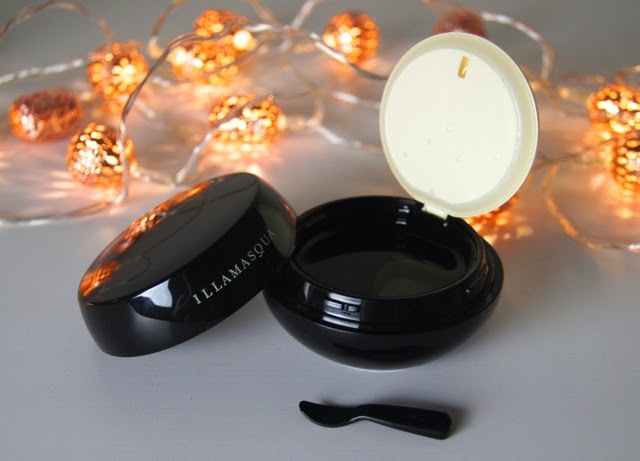 Another primer with a surprising consistency, is the Illamasqua Hydra Veil (£30), which comes as a clear, wobbly jelly in a pot. Trust Illamasqua to be so inventive and conjure up such a quirky product, hey? At first, the innovative packaging and texture is exciting, but it can be a faff to use if you don't have much time. As using your fingers to scoop out the product is practically impossible and messy, the pot comes with a mini spoon, which gives you the perfect portion for an application. Don't be put off by the initial texture, it's actually lovely and not just an unnecessary gimmick. Once on the skin, the lumpy gel melts into a smooth, liquid balm that spreads effortlessly. The light consistency doesn't leave skin feeling clogged or suffocated by an extra layer of moisture, but it does feel luxurious and nourishing. It can feel slightly tacky to begin with, but after it has settled, it makes the skin feel plumped, firm and like velvet. If your skin is dehydrated, this primer will change your life! 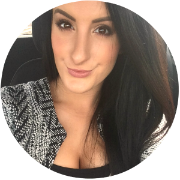 My base makeup sits so well over the top of it and stays looking supple and healthy for longer throughout the day. Hydra Veil has a strong, fresh scent to it in the pot, but it doesn't linger on the skin. A little really goes a long way with this one, so despite being pricey, I can see this primer lasting for over six months. 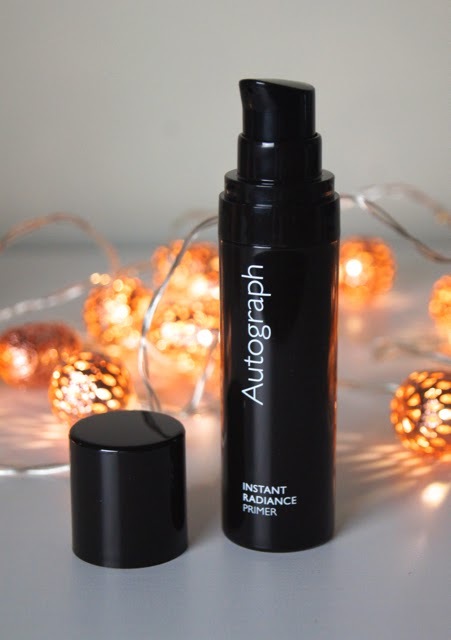 The most potent primer in my line-up, is the Autograph Instant Radiance Primer (£12), which you can pick up in M&S. If you're looking for a primer that is cruelty-free, then you'll be glad to find that Marks & Spencer cosmetics are BUAV-approved. Drenching the skin in a luminous, creamy lotion, this one leaves behind much more of a dewy, glossy sheen on the skin, as it's richer than the rest and takes the longest to fully absorb. You could be fooled into thinking the balmy formula is packed full of oils, but it is in fact oil-free. It's much better suited to dry, dull skin-types and if you worry about excess shine, this may not be the right primer for you. Reserved for when my skin is feeling particularly parched, I tend to concentrate my application on my cheeks, chin and forehead, avoiding my nose. Some foundations become difficult to blend and go patchy if you use a thick moisturiser and the primer on top of that also, so it can be difficult to get the balance right. You may need to forgo using moisturiser and substitute it with this primer, which is something I've never needed to do before. Although, I wouldn't recommend using it as a replacement too often. What I find this primer best for, is powder foundations, giving them much more of a natural, silky finish. 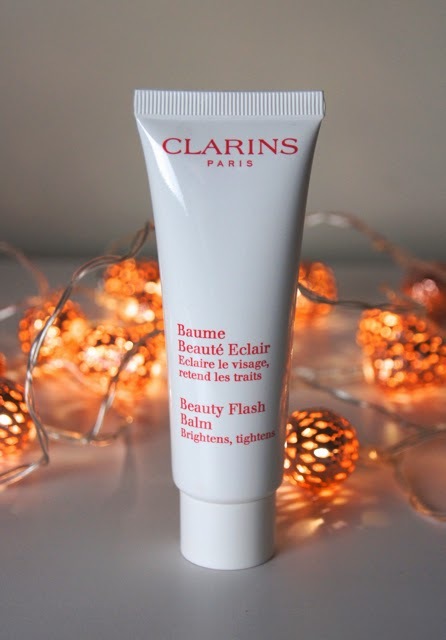 The Clarins Beauty Flash Balm (£29) has been around for years and it's forever featured online and in magazines. But, that iconic, little bottle contains a clever formula that seems to perform miracles in front of your eyes. This baby-pink cream is richer than you may initially think. It contains a starchy film-former, which creates a layer of goodness across the skin and gives a temporary, tightening effect, which lasts until the makeup is removed. So, if you apply too much or rub it in too vigorously, then it will simply start to peel off and any benefit will be lost. Smoothing it gently across the skin is the way to go. The thin coating it creates acts a buffer between the outside elements and the skin, so I find that my makeup lasts significantly better when I pop this primer on first. Firming and brightening, you can instantly feel the skin wake-up and react to the balm as it glides on. Skin immediately looks fresher and more even, with a glow that seems to come from within. Perfect for mature or tired skin, the formula gives skin a pick-me-up and really lifts the face, making it a great choice for special occasions. Non-comodegenic, this formula won't block your pores. It does have a subtle scent to it, which has a comforting, 'mum' feel to it, but it's not at all overpowering. Which primer is your favourite?